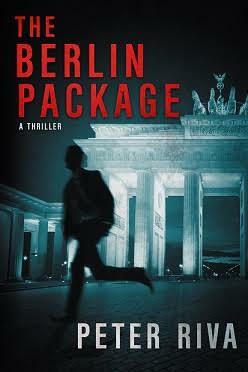 The same elements which have become familiar in the prequel, Murder on Safari, make a return in The Berlin Package: main protagonist Pero Baltazar, some of his friends who help him along, Pero’s contact at the CIA, and a series of events that come at them back to back in an intriguing and fun to follow thriller. Yet again, author Peter Riva goes beyond the ploys used in mass-produced thrillers. Instead of making up for a watered down plot by adding emotional ploys to keep readers going, The Berlin Package has a tight plot filled with details that will do a much effective job doing the same. Riva has also written two science fiction books I recently reviews, The Path and Reaching Angelica; just like with Murder on Safari, The Berlin Package does not have as much to reflect on as the first two titles. While Murder on Safari could potentially help open minds to some of the realities common to large parts of the African continent, The Berlin Package provides some interesting historical facts about post World War II events. I haven’t checked to see if these events are true or not—or even based on true facts—but they are very interesting to go through and, in the current climate of greed-fuelled distrust, make one wonder about many a thing. Just like with any author, there are certain things about Riva’s style which, after reading four of his books back to back, start becoming a little irritating; one in particular is the choppy, jerky way that the characters express themselves. Although meant to reflect the reality of how people talk in stressful situations, it disturbs the flow of reading, making it go from smooth to halting. But this is not reason enough to discourage anyone from reading The Berlin Package or any other one of Riva’s books. They are meant to entertain and, in the case of this thrillers, to get readers’ hearts pumping—and indeed they manage to do both quite well. Purchase the book on Amazon, at Barnes & Noble, Book Depository, or at Chapters/Indigo. I am in need of some good books for the summer and I have recently started reading more thriller’s so I would love to read this book.